April 2019 marks nine years of jam-packed dance classes with wonderful students and instructors, creative workshops and fitness fun! 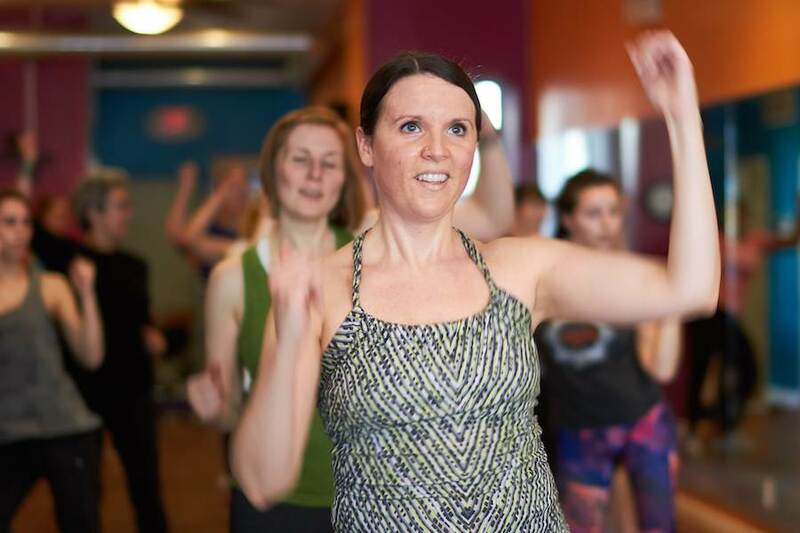 Philly Dance Fitness started out in a rented room of a local rec center and has grown to four studio locations and more than 50 classes per week. Without you, our amazing students, none of this would have happened! As a thank you, we’re offering a special discount on our 50-minute group classes. For the entire month of April, take 30% off drop-in classes! To redeem, enter promo code pdfbday2019 at checkout! 9 drop-in classes max per student. To receive the discount on more than one drop-in, items must be added to the cart one at a time, and then enter the promo code at checkout. Due to certain limitations within MindBody, the quantity cannot be adjusted on a single drop-in. Promotion available through April 30, 2019. Drop-in’s expire 3 months from the date of purchase and are valid toward any 50-minute classes on our weekly schedule (does not include ballet, specialty programs or workshops). If you’re new to dance fitness or just looking to mix up your routine, now is the perfect time! With over 50 classes per week and more than 25 types of dance & fitness offerings on our schedule, we’ve got something for everyone — whether you’re into cardio or technique, or both. Our 50-minute group classes are regularly $13. Purchase the maximum amount of 9 drop-ins and save $36! 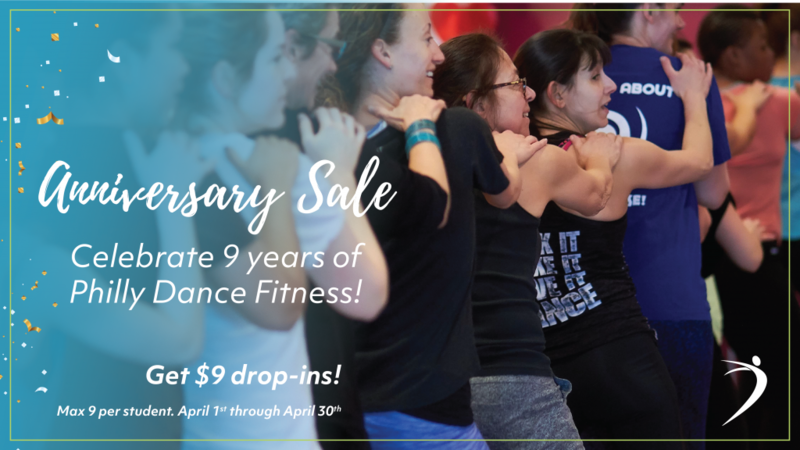 This incredible deal is only available through the end of April, so grab a friend and come celebrate 9 years of fitness with us! Find complete class reservation and studio policies here and also in Mindbody under the “My Schedule” tab.